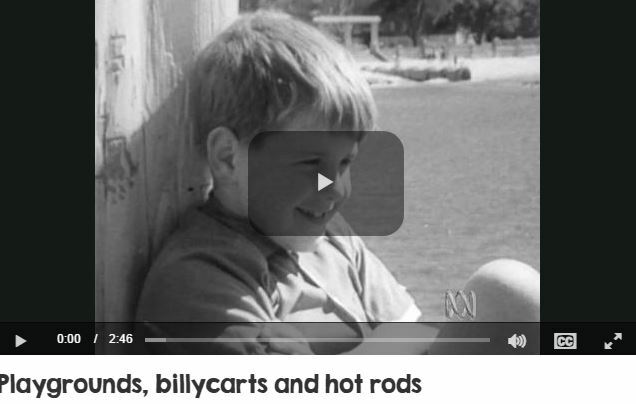 Heaps of pictures of what life was like "years" ago in Australia. School finishes for the day and parents are waiting to take their children home. 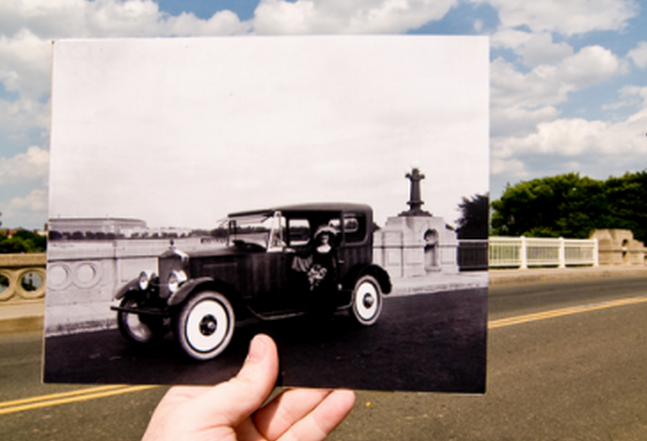 Find out what school pickup time looked like in 1974.
magine going to school in the 'olden days' (the 1940s). Find out what morning assembly looked like. 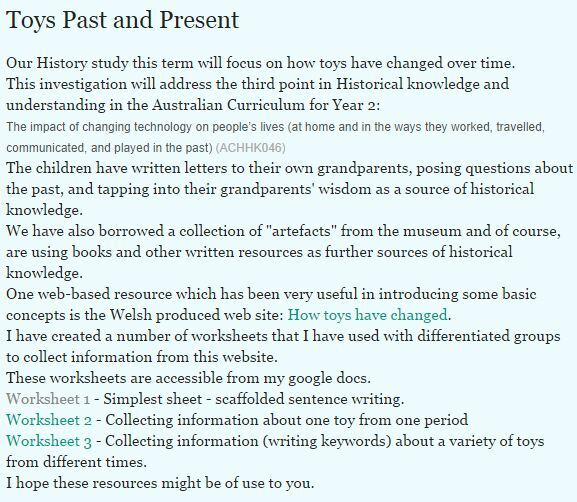 Discover the things that children kept in their desks and what they used to do their writing. This clip shows you what school was like in the past as two adults (actors Terry Norris and Carmel Millhouse) remember what they did at school. 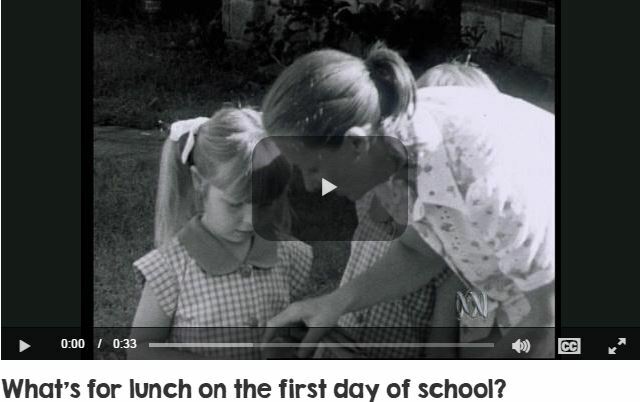 It's Shelley's first day of school and her mum shows her what's packed in her lunch box. Find out what school lunches looked like in 1974. 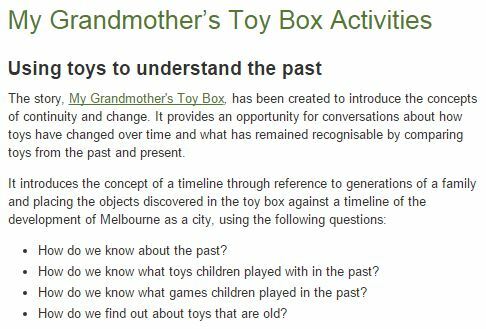 Discover what school holidays were like for children in the past. 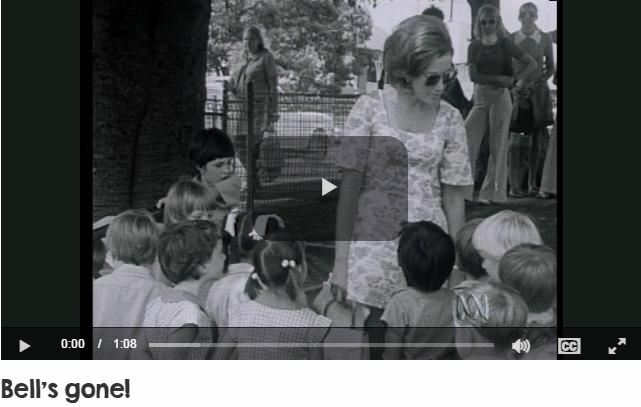 In this black-and-white clip, a reporter asks some school children how they feel about holidays. 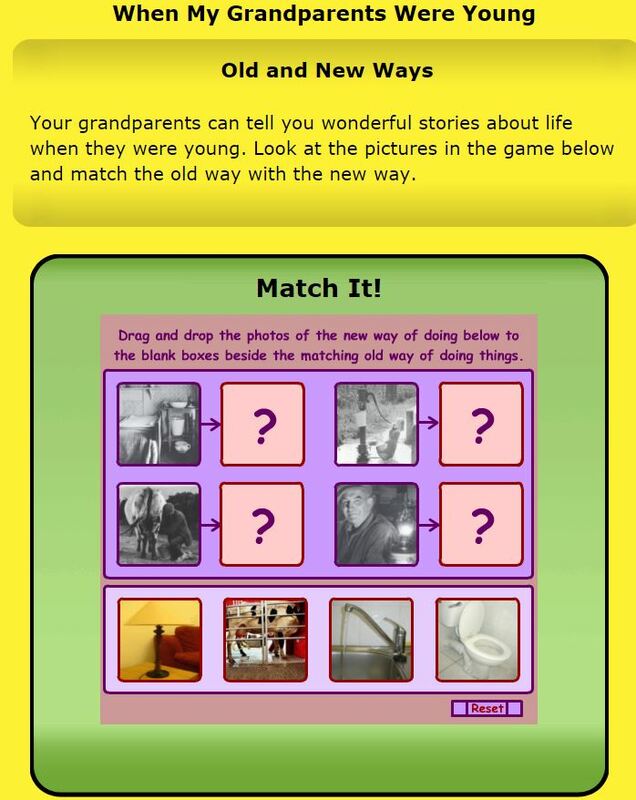 Find out what kinds of things children did on their holidays when your parents and grandparents were your age. Take a look at a crowded city street during the Christmas season more than 50 years ago. 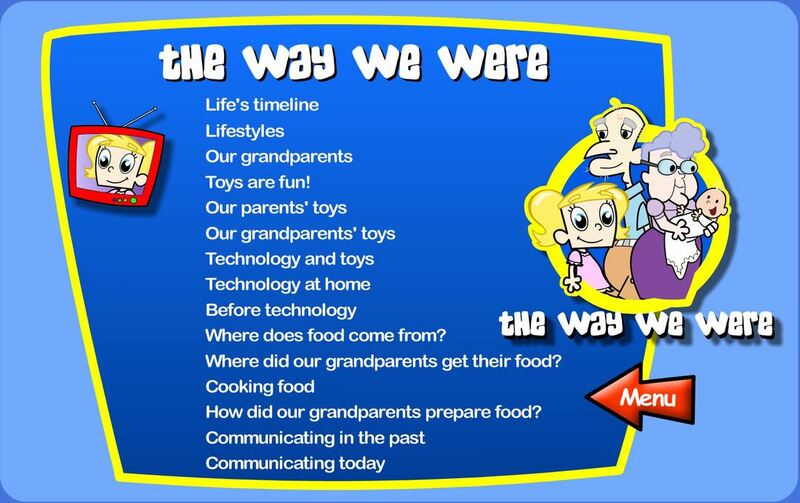 Discover what Christmas shopping was like when your grandparents were not much older than you are today. 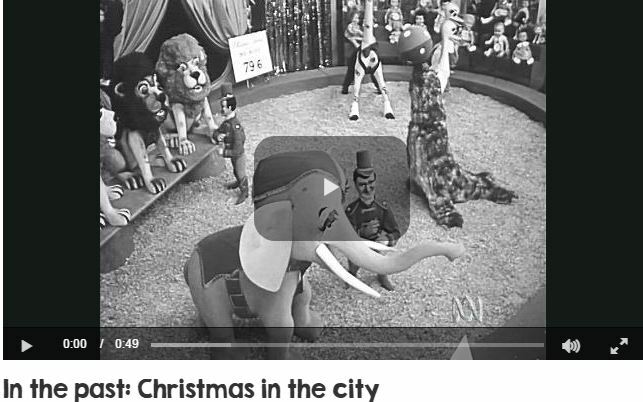 This silent black-and-white clip was filmed in Sydney in 1961. 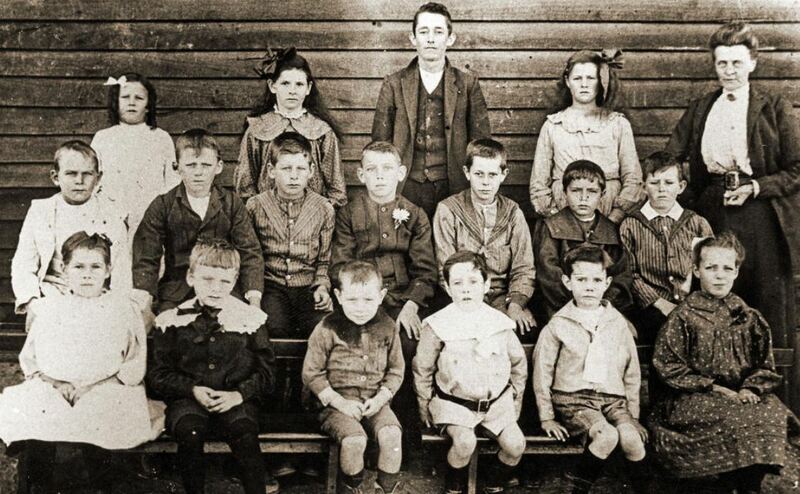 What was the first day of school like for your parents? 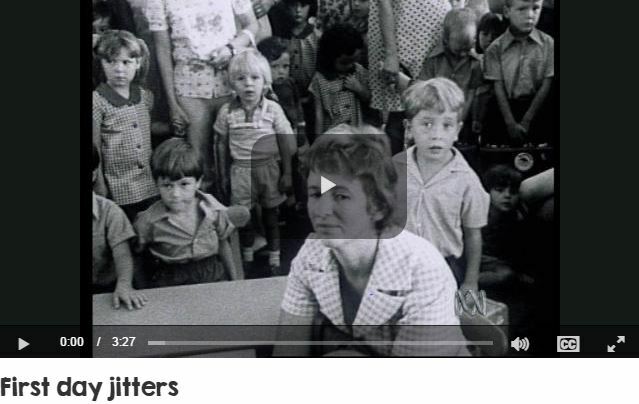 This clip shows a group of children arriving at school with their parents in 1974. Click to view. 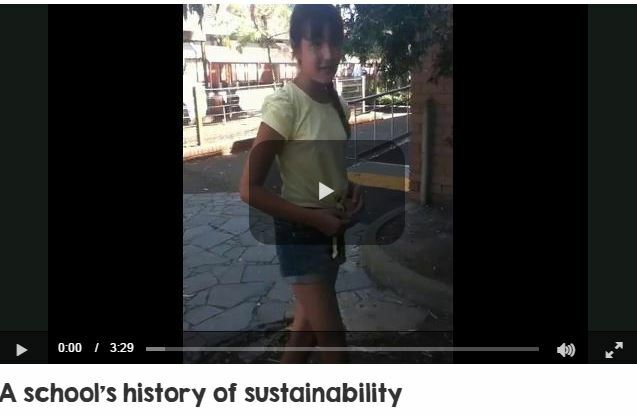 Discover the history of sustainability at a local primary school as two generations of past students reflect on their time at the school. 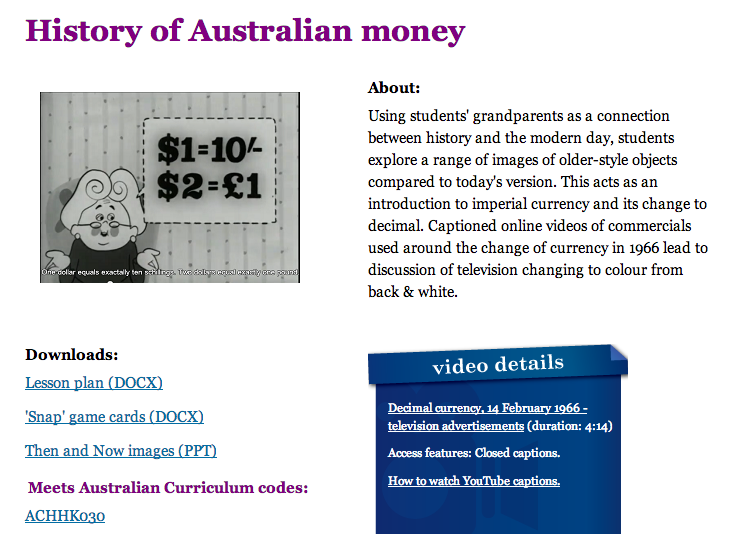 View this clip called 'The past of our present', created by young reporters from North Fitzroy Primary School, Victoria. 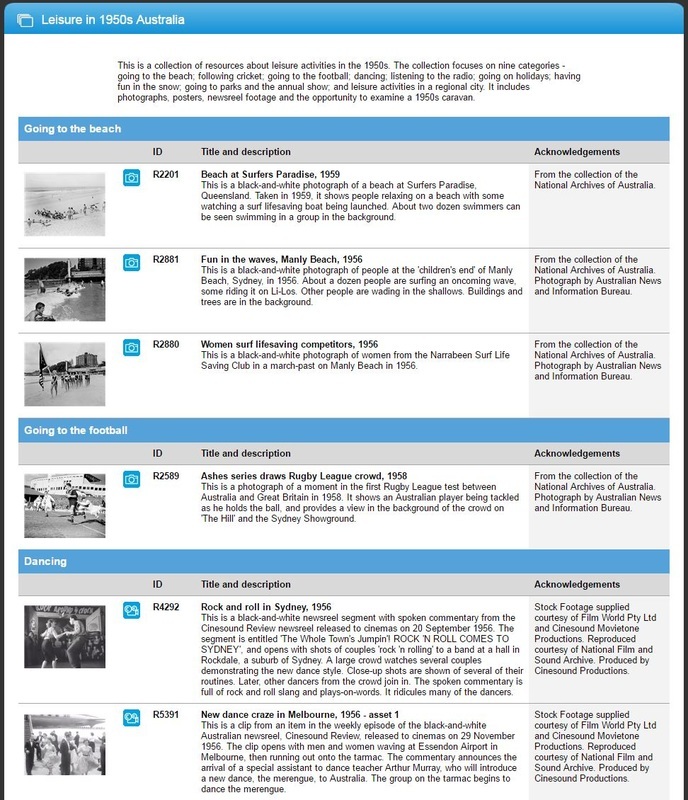 The clip was developed as part of the ABC Splash Live 'Making the news!' project, which featured local sustainability stories by students from around the country. If you broke your leg, you might go to a hospital. What happens to dolls that might have a broken leg, arm or head? 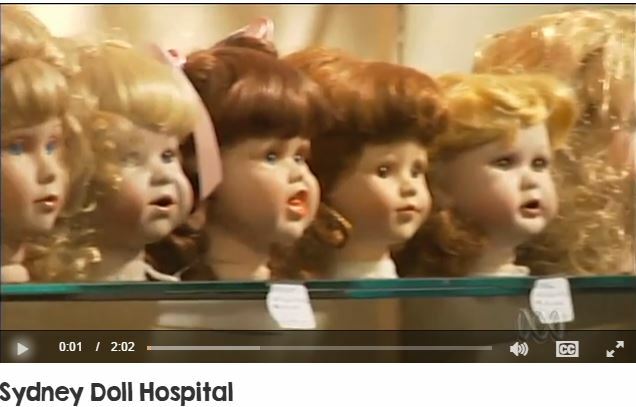 Discover a special hospital in Sydney where broken dolls are mended. Find out how the repair work is done. See what dolls looked like in the past. 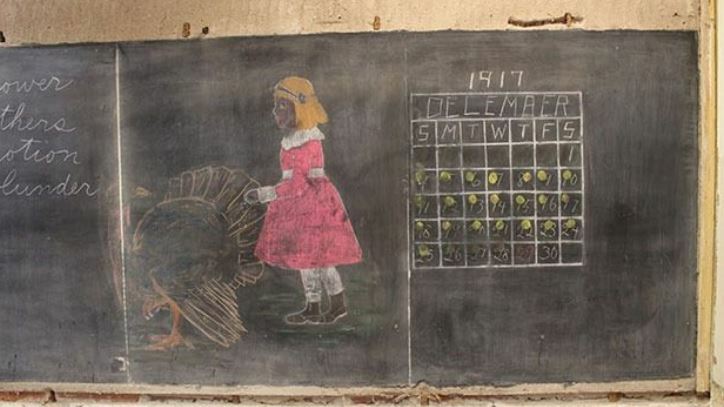 Discover how school children in the Australian bush celebrated Christmas more than 50 years ago. This silent clip shows school children putting on a Nativity play - a play that tells the Bible story of Jesus's birth. The students then have a Christmas party. 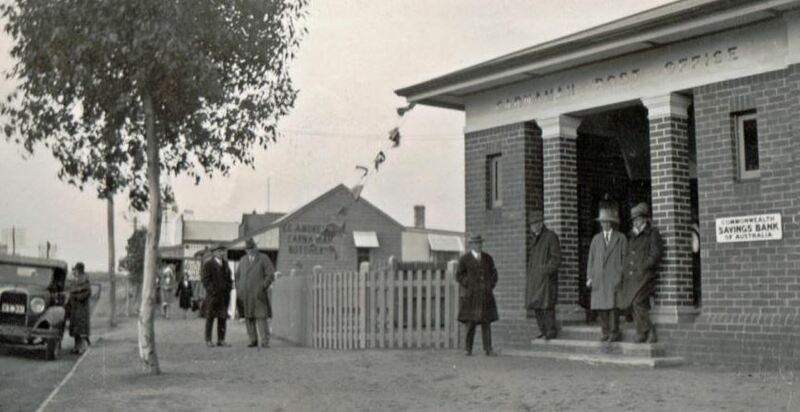 The black-and-white footage was filmed near Parkes in 1961. 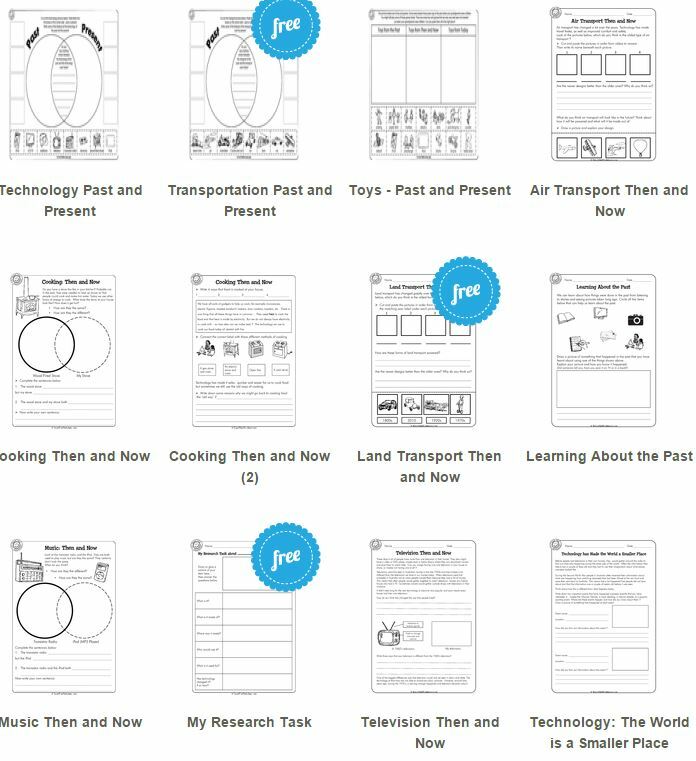 This unit of work helps students develop an awareness of the passage of time and how events of the past can shape those of the present. 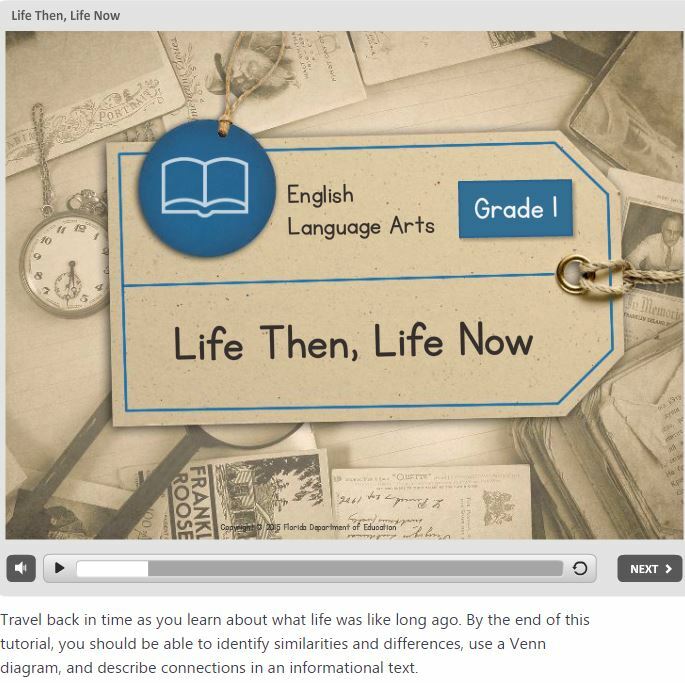 The unit focuses on the students’ own history and that of their family and home. 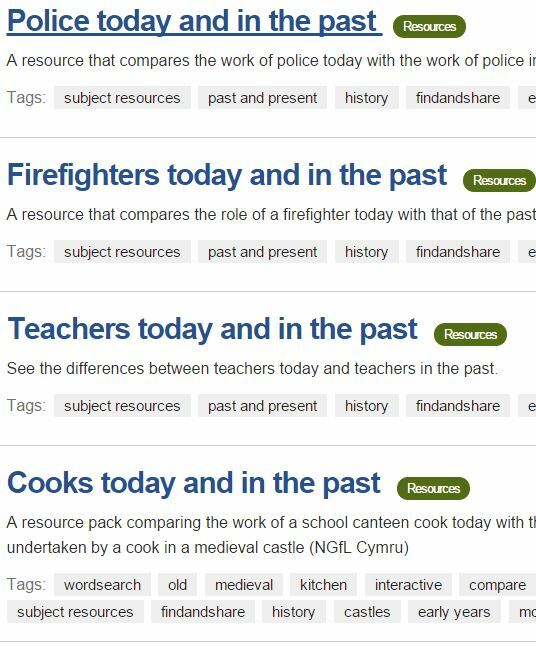 You must type the topic into the search engine....Excellent resources and worth the effort. 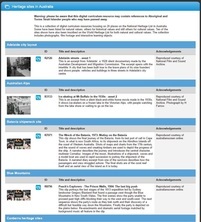 Looking at the changes in the main streets of Sydney and Murwillumbah visually 1880's to 1950s. Explore the PS Enterprise and examine a map of the river system which it travelled on. Find out more about life and work on Australia's Murray River in 1890 with the help of the captain's 10-year-old daughter. Explore the Museum's restored paddle steamer, Enterprise and find out about how it was built, its purpose before exploring inside where Milly's family lived and worked. Take yourself back in time to the late 1800s and get emergency help for a camel driver injured in the outback, using communication and transportation methods available at the time. 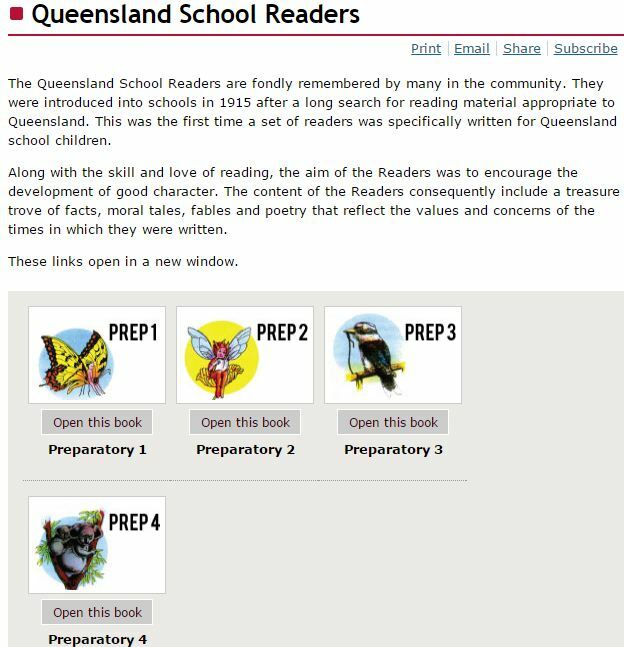 People from all over the world worked in the copper mines of the Queensland outback. Camel, horse and cart and trains were the main forms of transport and long distance communication was by telegram or letter. Your task is to find a doctor to treat a man injured after falling off his camel near Lonely Creek. The camel driver needs urgent medical attention and he is a long way from the nearest doctor. 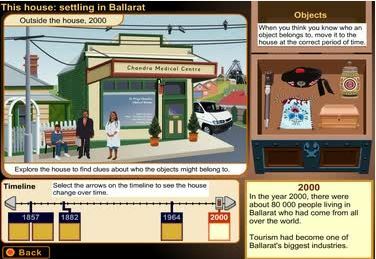 Find out how the doctor can be contacted by exploring the communication and transportation options available, then contact him and send details in the fastest route across the outback to Lonely Creek. Will the doctor make it in time? Join Zoey on a trip back to Bathurst, New South Wales, in 1865 when Cobb & Co coaches were used to transport people and letters around Australia. First look at the Cobb & Co coach that Zoey's great-great-grandmother rode in when she was a girl. 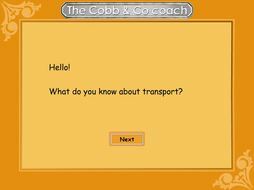 Select each part of the coach to find out more about it and compare the coach to modern day transport. Then find out what a Cobb & Co coach trip was like by driving the coach along the road from Bathurst to Forbes. 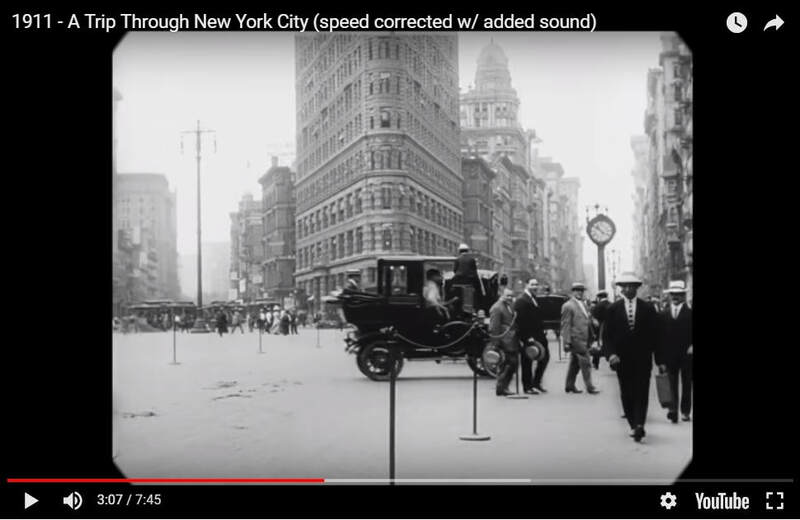 Then make the same trip in a bus today to see how transport has changed in the last 150 years. 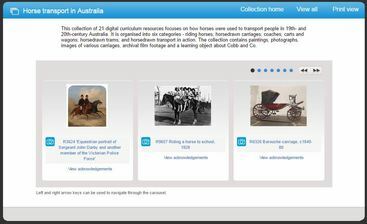 The mail coach seen in this interactive is likely to have been made by Cobb & Co and used by the Nowland family on their network of mail and passenger services in northern New South Wales in the 1880s. 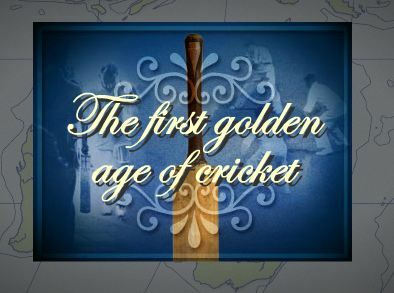 Peek into the lockers of some of the cricketers who played for Australia from 1900-1940. Live Binder - Copacabana PS - Thank you for sharing.